While investigating Seto, I worked alongside the NAB agent David Steinberg, now deceased. It was not until after our contract was over that David revealed to me that in addition to working for the NAB, he was an agent of the FBI. As a foreign citizen it would have been impossible for myself to work for the FBI, but David employed me as an assistant from then on and allowed me access to a number of files. David specifically asked me to investigate them, as this was a matter of top priority for the FBI. He believed my ability to navigate the digital world with ease via the Schicksal PCs would provide a valuable asset, even if the FBI could not directly manipulate them or myself. This group, this “Mama,” is officially classified by the FBI as an eco-terrorist organization whose mission statement is to save the planet by ceasing all human activity, as per the seminal work of their founding member and leader, Dominique de Mirabeau. While other eco-terrorism groups like the ELF or Earth First might have committed outright terrorism in the name of the environment, Mama has operated differently. The FBI attributes plenty of the most important cyber-disasters of the 21st century to their influence, but how exactly is a matter even David was not made privy to. The event that I was personally involved with in 2020, Immortal Dusk, was no doubt a result of their interference. Their sphere of influence reaches far beyond the likes of any similar organization, as they have sunk their teeth into governments, megacorporations, and militaries all over the world. Data I obtained even indicated their founding members include Sibyl Green, a founder of ALTIMIT, and Veronica Bain, the current president of the CyberConnect Corporation, who I was also employed by in 2023. 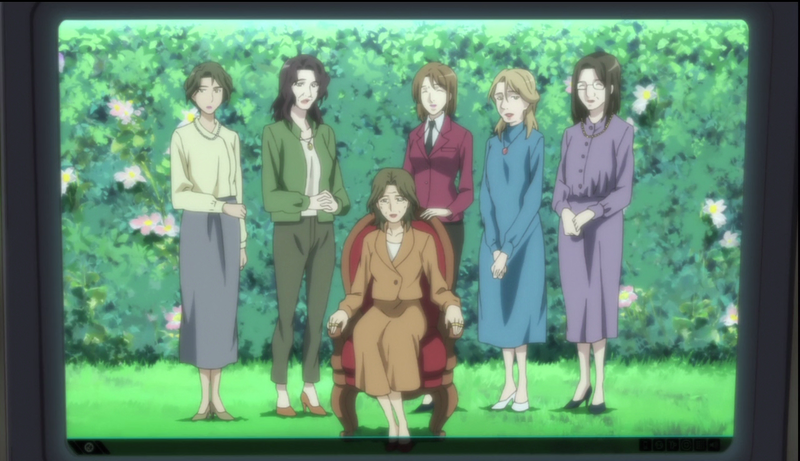 As you can see the woman standing closest to Dominique de Mirabeau is identified as Erna Uhlenhuth. In the information relevant to her it is noted that she operated under a different name from the years 1996 to 2004. These years in particular are of interest. I’m sure the urban legend surrounding The World’s origins is common knowledge now. The years from which Erna Uhlenhuth operated under a different name matches the years in which Emma Wieland published her network epic, THE EPITAPH OF TWILIGHT. 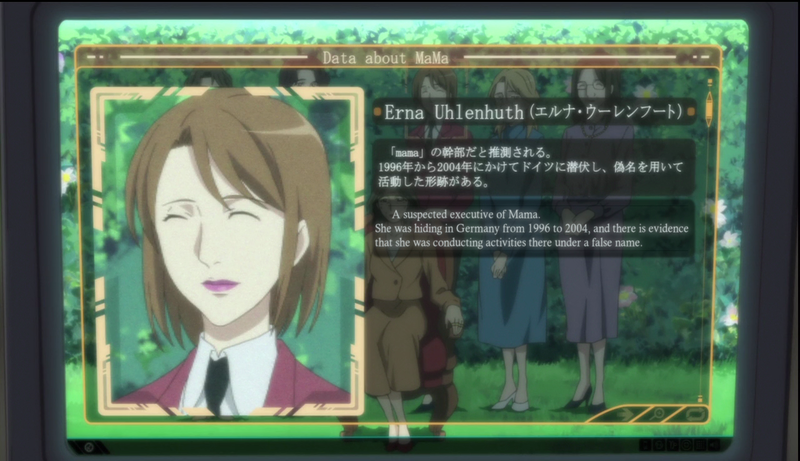 I have reason to believe that Emma Wieland and Erna Uhlenhuth are the same woman, and that Harald Hoerwick was manipulated into creating The World and Aura for an as of yet unknown purpose, but it is certain to me that Mama’s own interest lies in The World and the goddess that sleeps within it. There are still more matters related to this discovery that I will cover in greater detail in a further report. I currently don’t have the luxury of being able to write anything too extensive as I’m certain that Mama is on to me, considering my own relationship with their Veronica Bain. Were it not for the help of an old friend I would likely be dead by now. If you are reading this, thank you. Please, look after Lilie. The purpose of this report is to alert you to the fact that Emma Wieland, no, Erna Uhlenhuth, is still alive and well. Her exact location and the specifics of her operation are unknown. Uhlenhuth has made no movements in over a decade, yet she is at the root of all of this. That’s all. There will be another report detailing Mama's purpose and activities forthcoming, if I’m not dead by then.